Mill-Max is pleased to announce threading and tapping capabilities (metric and inch sizes) for implementation on custom socket receptacles. Applications include tapping the interior back-hole of a receptacle allowing for screw-attachment of threaded mating pins. 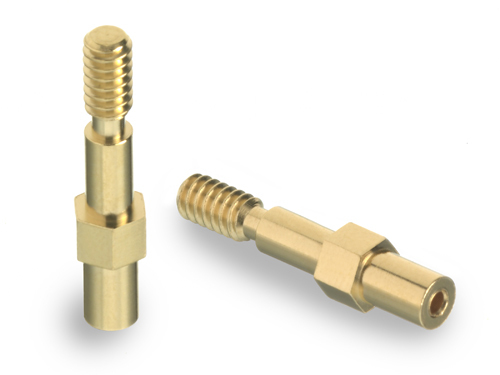 Alternatively for specialized applications requiring a non-soldered, field-replaceable interconnect, such as a socket location terminated on a metal plate, a threaded or tapped pin receptacle can offer a solution.